Croom Concrete’s Gripped Slats provide improved grip for the cow, improving cow confidence and safety. 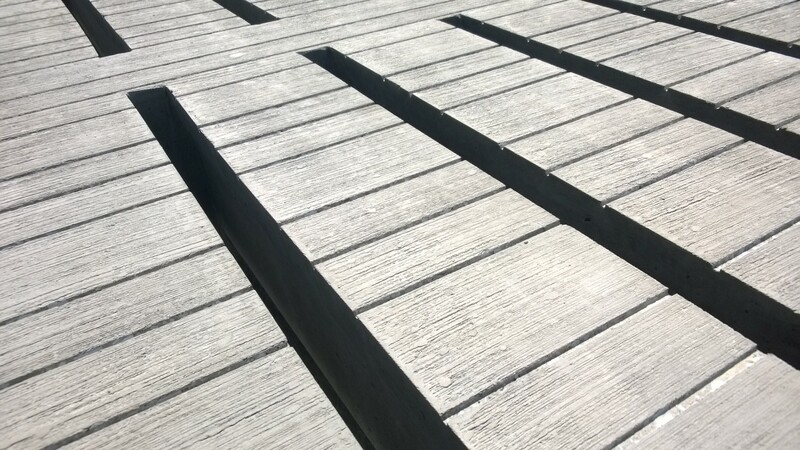 Our unique method of grooving cuts the grooves into the slat before they leave the yard providing a clean cut finish. 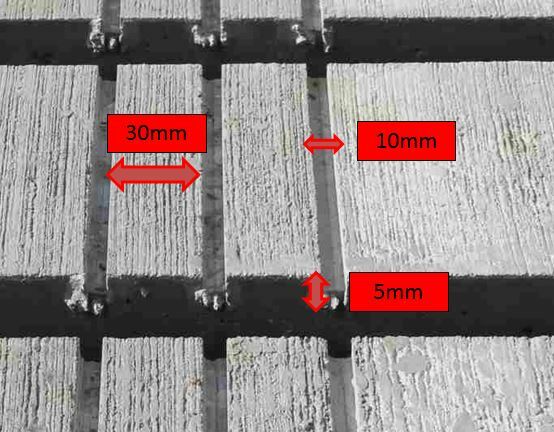 The 5mm deep – 10mm wide slots allow the fluid to drain off the slat and into the tank, leaving less material on the surface of the slat to come between the cow hoof and the concrete to cause slipping. Animal’s hoofs deform when they slide over a rigid surface. This deformation means that hoof deforms around irregularities in the floor surface, giving rise to a total friction made up of two components. The first is the adhesion component of friction between the hoof and the surface and the second due to the delayed recovery, hysteresis, of the hoof after being deformed by an irregularity. Wet floors are effectively covered in a lubricant that is likely to make adhesion component very small. Thus it is the hysteresis component that must be relied upon to give grip. On a smooth surface, a film of liquid (slurry or water) lies on the surface and the hoof cannot come into contact with the floor so slipping occurs. Our gripped slats have a texture that allow this liquid film to be squeezed away, rapidly, then the hoof can come into contact with the floor before a slip occurs. These effects are analogous with smooth tyres and aquaplaning in a motor car. A roughened surface, whilst it may allow rapid dispersal of the liquid film, provide only a small hoof/floor contact area. This can lead to excessive contact pressure and in extreme cases puncturing of the sole of the foot. A surface with appropriate grooving, which allows rapid liquid drainage and provides hysteresis as the foot contacts the groove, is a more acceptable solution. This is analogous to the tread in a car tyre. Our method of gripping provides maximum grip with the minimal amount of glazing. This differs from grooves that are imprinted during casting which fill up and glaze very quickly.